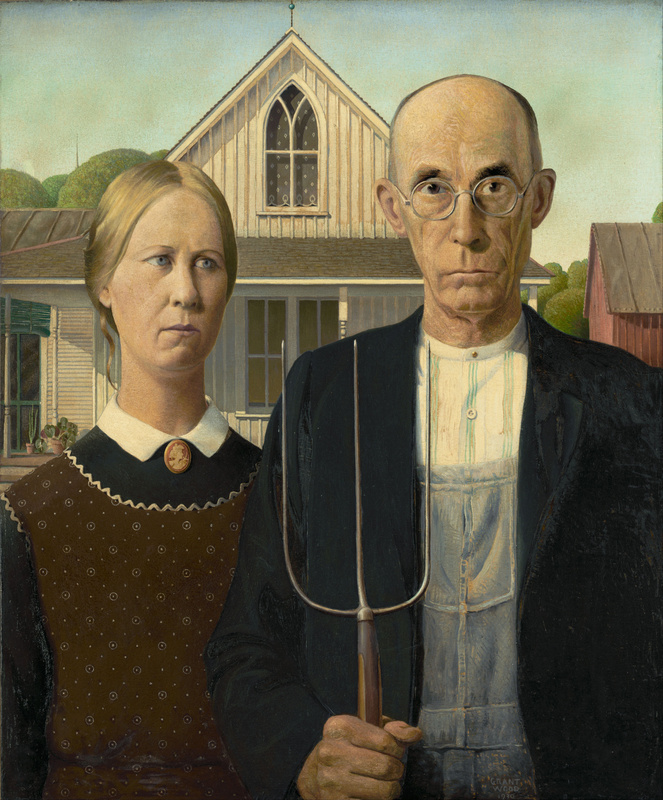 The first element to inspire Grant Wood to paint “American Gothic” was the house. 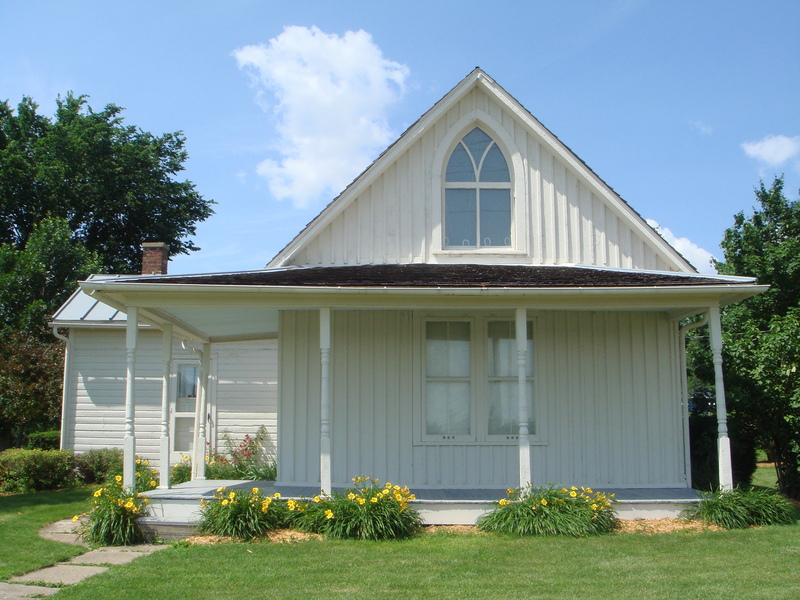 The Dibble House, now more commonly known as the American Gothic House, still stands in Eldon, Iowa, and now attracts well over 15,000 visitors a year. 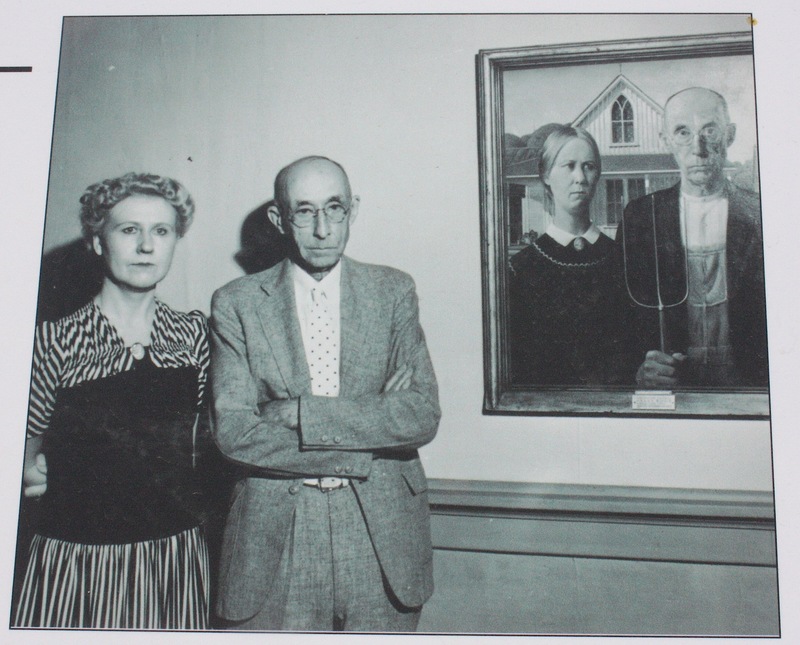 Wood painted a sketch of the house, then returned to his home in Cedar Rapids to complete the painting, using his sister, Nan Wood Graham, and his dentist, Dr. Byron McKeeby, as models. 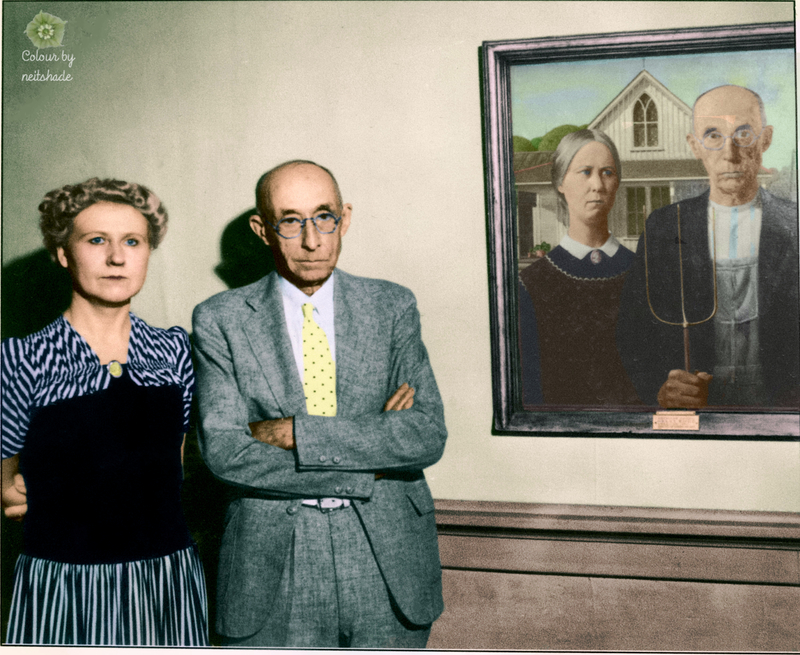 Original black & white photo, 1942. 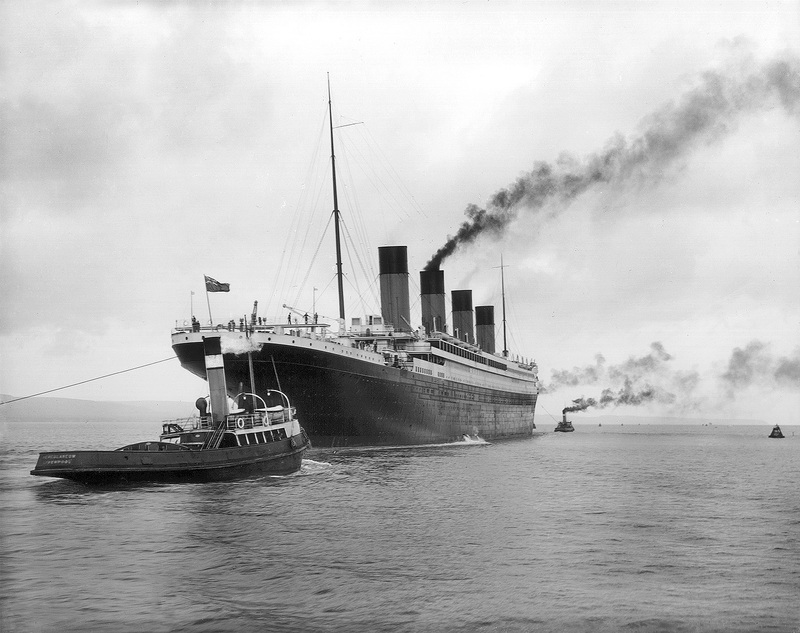 Before the fateful maiden voyage that ended with a collision with an iceberg, RMS Titanic underwent sea trials, which started at 6 a.m. on Tuesday 2nd April 1912, and lasted about 12 hours. This photo shows the Titanic leaving Belfast, where she was built, for those trials. 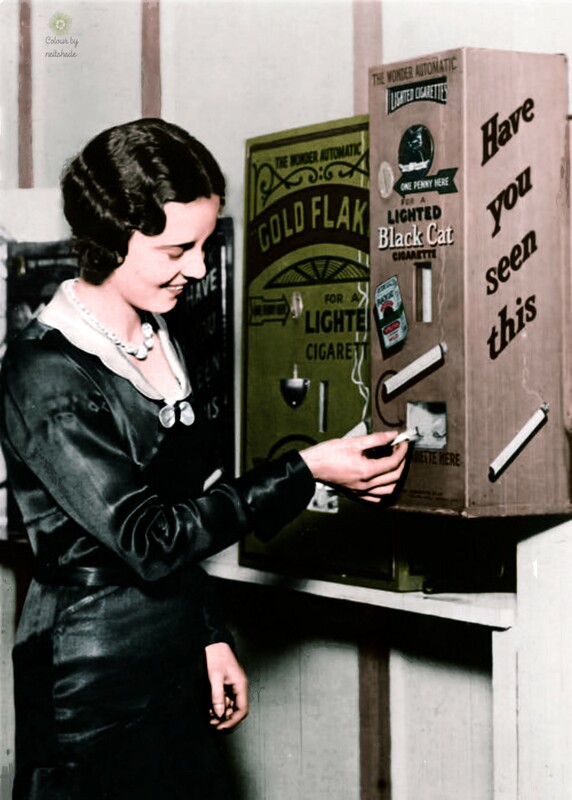 Since smoking was banned in pubs, I haven’t seen any cigarette vending machines, but even before the ban, I never saw one like these from around 1930 that dispensed single cigarettes already lit. I don’t think they took off. They were probably too louche even for the 1930s. Another decade that was supposedly debauched, and another vending machine that didn’t last long. This one dispensed whisky, with water or soda if required. 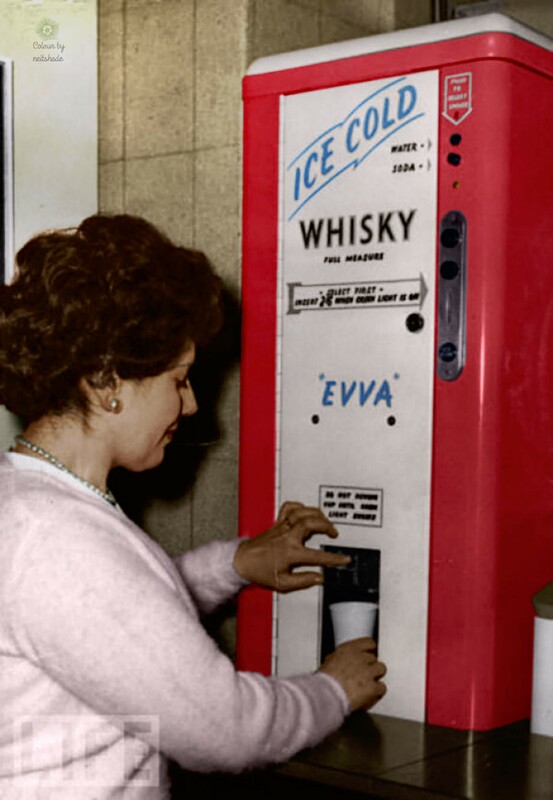 The photo is from the second Automatic Vending Exhibition in London, in 1960. The Crystal Palace, seen here in 1854 had, in its time, the largest amount of glass ever seen in a building. 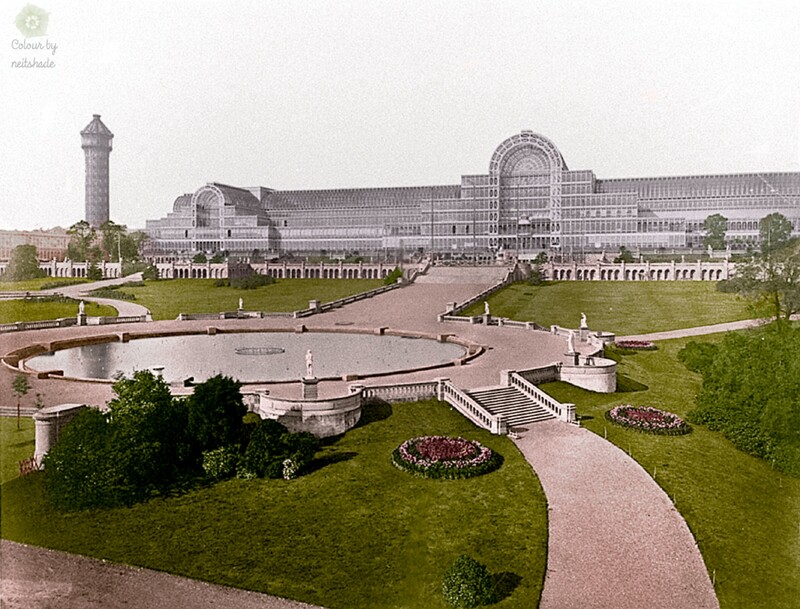 It was built to house the Great Exhibition of 1851, and lasted until 1936, when it was destroyed by fire. 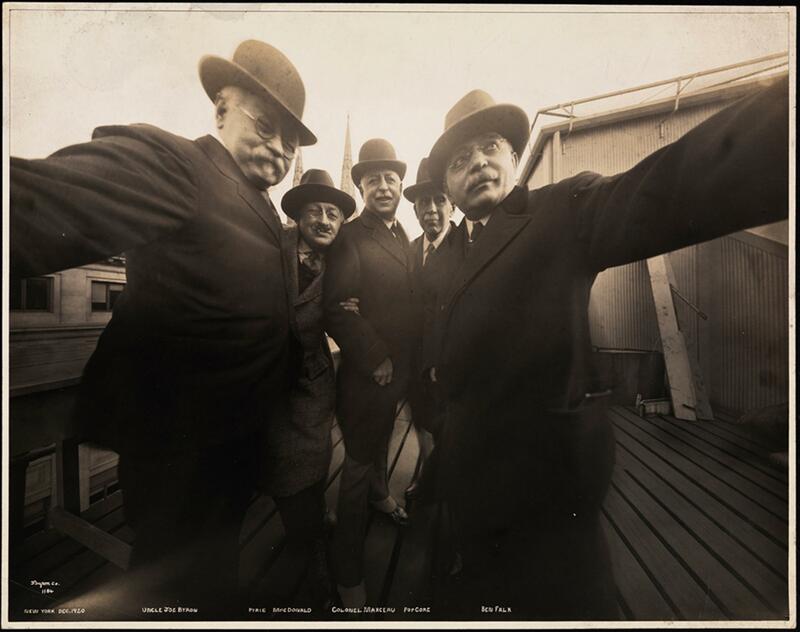 “Selfies” are a very common phenomenon these days, but the first one was taken in December 1920. Self portraits were nothing new of course, but this kind of pose was. The photographers holding the camera were Joseph Byron, on the left of this picture, and Ben Falk. Between them, from left to right, were Pirie MacDonald, Colonel Marceau and Pop Core.The photo was taken on the roof of Marceau’s studio. 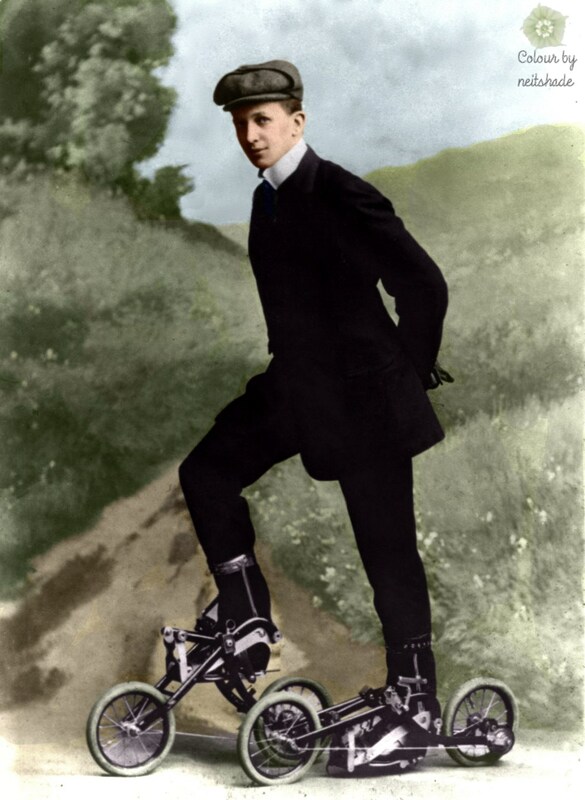 A demonstration of the Edvard Petri­ni pedalled roller skates, circa 1910, in Swe­den. Every instance of this photo I’ve found on the internet has it as London in the late 1930s, but I think that’s wrong. 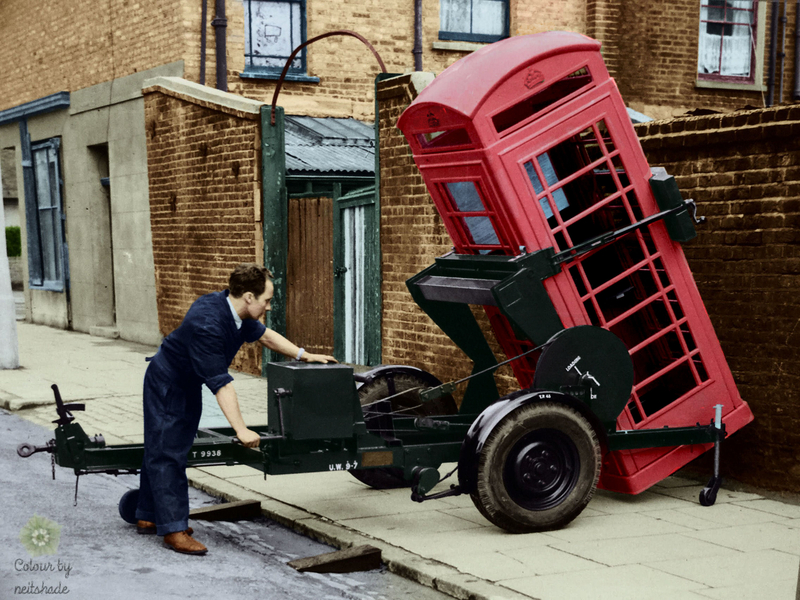 The K6 telephone kiosk, shown here being installed, was introduced in 1936 but, as far as I can tell, the installation trailer being used is the one that was introduced in 1953. The K6 was the first kiosk to be widely installed outside the capitol, so it may not be London either.